Streamline Tower is a 21-story luxurious condominium located in Downtown Las Vegas' new and exciting entertainment district. 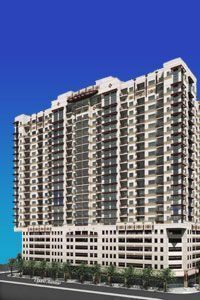 The $110 million high-rise, which is currently undergoing construction, will offer 275 units with prices ranging from $400,000 to $1.2 million. Additionally, the residents have the option of choosing from 13 different floor plans from 795 square feet to 1,910 square feet. Streamline Tower also provides its residents with breathtaking views of the famous Las Vegas Strip and the surrounding mountains, security access systems, state-of-the-art fitness center, and a rooftop pool and terrace with exquisite views. This beautiful and luxurious high-rise is also surrounded by famous restaurants and casinos, and walking distance to the renowned Fremont Street Experience.